Housing & Residential Education is committed to the fostering of a sustainable living and learning experience in our facilities for our staff and students. Our department seeks to implement sustainable practices and environmental stewardship in our facilities and support the university’s sustainable priorities and principles through education. What is HRE currently doing to be more sustainable? 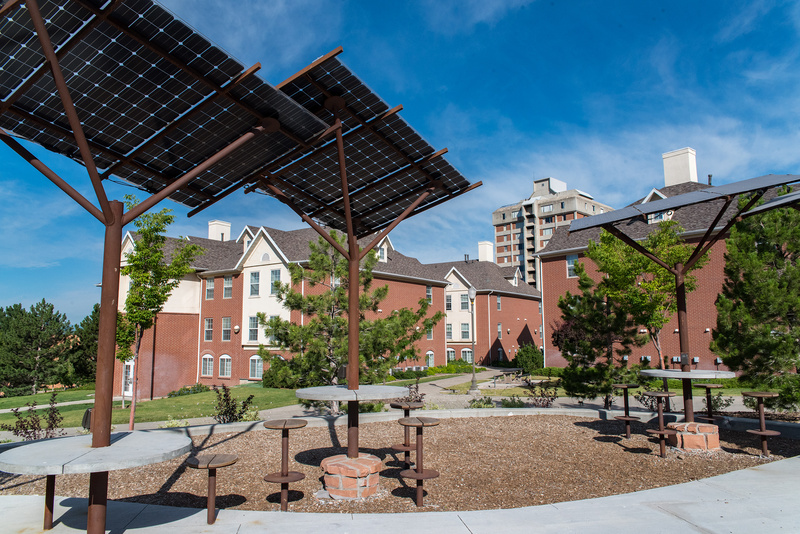 The Student Solar Plaza is a student-driven initiative that will provide Heritage Commons’ residents with a sustainable space where they can attend programs, study, connect with friends and enjoy being outside on the U’s beautiful campus. Learn more about the Student Solar Plaza here. We offer easy-to-use single stream recycling. You will find recycling containers in your room, on your floor and next to the dumpsters in the parking lot. Residents can use these bins to recycle paper, cardboard, plastics 1-7 and metals. These bins are not to be used for clothing, shoes, trash or glass. Visit the following website to learn how to recycle at the U. Every November, our residents participate in a contest called “Power Down November.” During the month halls compete to use the least amount of electricity. Every move-out, volunteers collect reusable items (clothing, books, appliances, etc) during move-outs to be delivered to Big Brothers Big Sisters. The Marriot Honors Community is the first LEED Gold certified residence hall in the state of Utah. It is home to over 300 residents and features many sustainable materials and systems. HRE is working towards complete LED lighting. Currently, all lighting mounted on the sides of the buildings is energy efficient LED. HRE is seeking funding to convert internal lighting to LED. 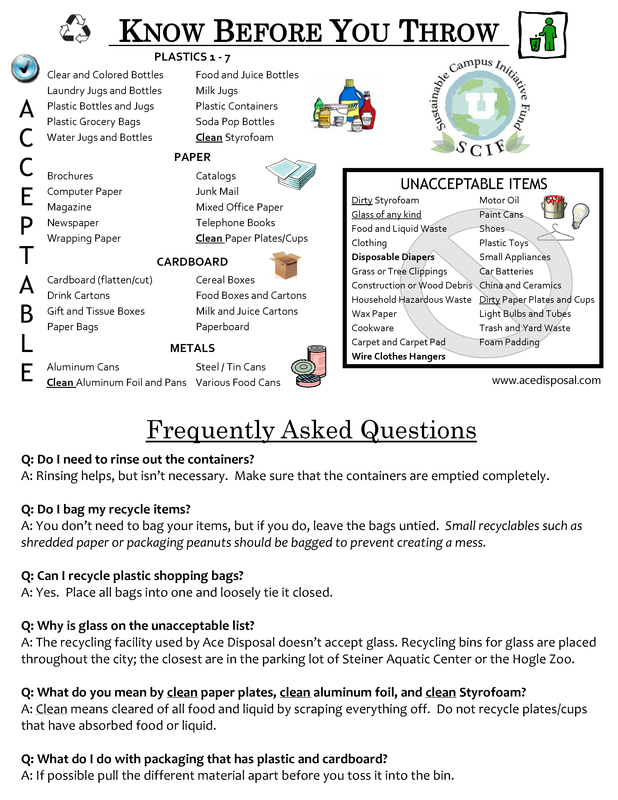 HRE Residents in Cedar Court 700 are encouraged to learn more about what items are recyclable. Learn More. Do you have a great idea on how to make the U more sustainable? Apply for a Sustainable Campus Initiative Fund (SCIF) grant!